1.6 I-DTEC SPORT 5d 118 BHP 0% Deposit Plans Available even if you Have Poor/Bad Credit or Low Credit Score, APPLY NOW! A stalwart of the Honda range, the Civic is regarded as a solid choice if you're looking for a practical and stylish family hatchback. Available as a three or five-door model, the Civic boasts a sleek exterior, a well-equipped cabin and a range of economical engines that'll help you to keep down running costs. 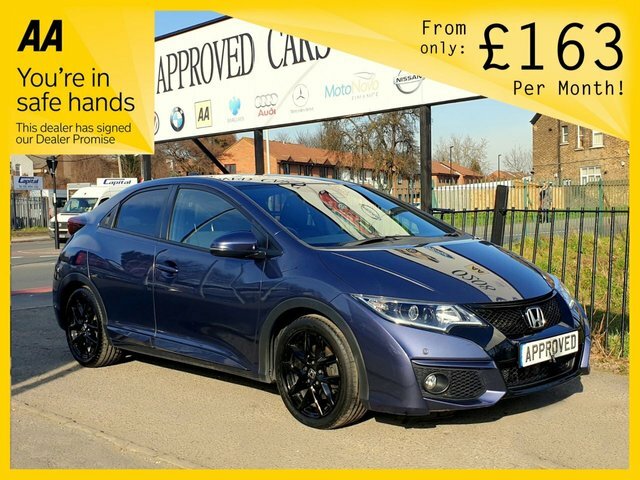 Get behind the wheel of one of the used Honda Civic models for sale in Croydon by getting in touch with a member of our team. All of the used cars you'll find for sale at Approved Cars have been thoroughly tested and checked by a trained technician to ensure complete peace of mind.